On a recent three day farm tour across Kansas that you can read about here, gave me the chance to visit Blythe Angus Ranch. 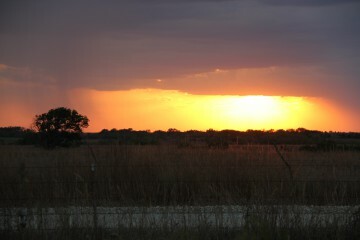 White City, Kansas is home to one of our own bloggers on the tour Debbie Lyons-Blythe. 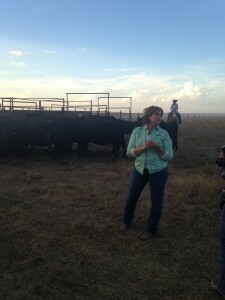 She owns Blythe Angus Ranch. 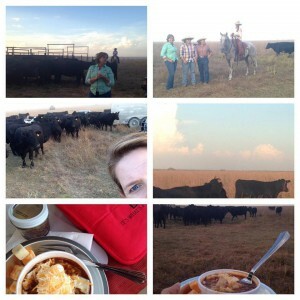 Debbie writes the blog Kids, Cows and Grass where she shares the adventures of being a cattle rancher, recipes and a mom to five kids. 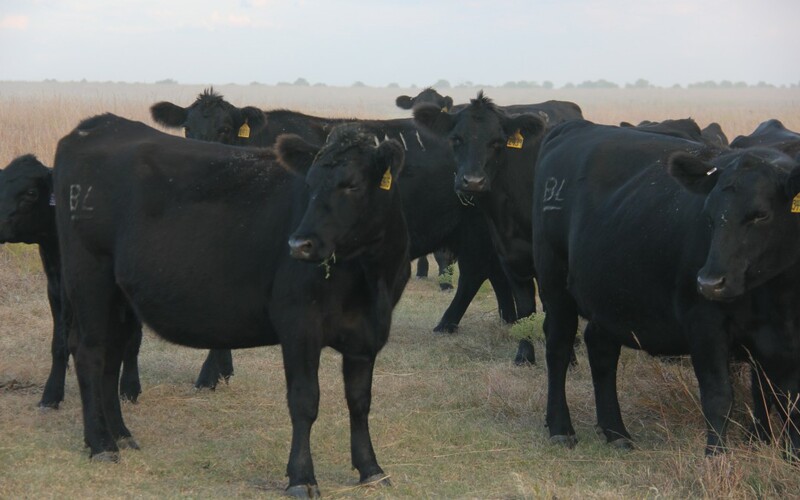 Debbie along with her husband Duane and family raise high quality registered Angus cattle on the same land that has been in Duane’s family sine 1890. Debbie and her family are passionate about sustainability and are committed to leaving the land better than when they found it. The Global Roundtable of Sustainable Beef have guidelines in place that defines sustainability for the entire world and they are that the environment needs to be protected, the animals must be treated properly and there needs to be an economic increase. Each continent or country can then form their own Roundtable group and Debbie and Duane are founding members of the United States Roundtable of Sustainable Beef and meet with all sorts of people in the cattle and beef industry. By using these guidelines for the past 30 years the beef industry has decreased the carbon footprint of beef in a major way. To raise a pound of beef, the industry now uses 20% less feed, 30% less land and 14% water which adds up to an 18% decrease in the carbon footprint. Debbie along with her mom, sister and very good friends hosted an amazing evening for us showing us the beautiful registered Angus cattle and feeding us dinner. It was truly an amazing experience to be so up close and personal with these beautiful creatures. 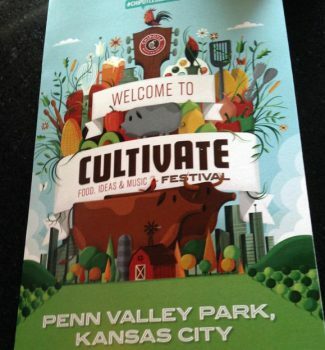 It was truly a Grazing in the Prairie event that people pay big bucks for. 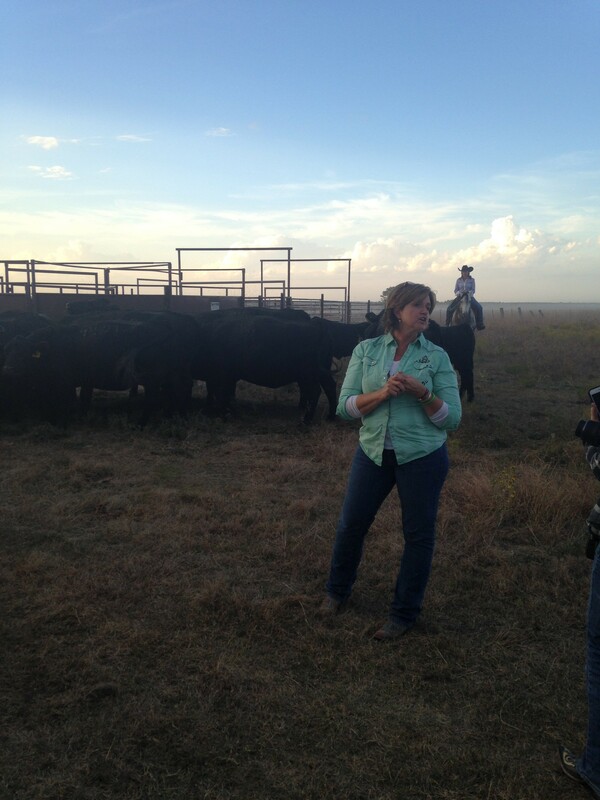 It is fascinating to hear Debbie talk about her passion for raising the best beef she can, the care and love she has for the cattle and the beauty of the prairie. We were lucky enough to catch a breathtaking sunset which gave us a taste of Debbie’s passion for this land and a beautiful way to end the day. I recently had the chance to tour the McCarty Family Farms who supply fresh milk for Dannon Yogurt. This tour included some other farms in Kansas as well and you can read more about that here. Located just a few miles from Colby you will find Rexford, Kansas which is home to the McCarty Family Farms, where we met Ken McCarty. He graciously shared the story of the his family farm which was started in 1914 by his Great Grandfather with eight cows in Pennsylvania. Ken and his three brothers Clay, Mike and David are fourth generation dairymen who worked with their dad on the dairy farm in Pennsylvania. It came time to move the dairy if it was going to be profitable, so after searching throughout the Midwest, they settled in Rexford, Kansas in April of 2000. They started milking 1200 cows which did not show much profit but plugged along eventually building another milking facility in Bird City, Kansas. The McCarty’s big break came when they were approached in April of 2010 by Dannon Yogurt to produce milk for them. In order to do that the McCarty’s had to double their size and build a processing plant. They broke ground to build a new facility and had milk to Dannon in April 2012. The McCarty’s now own four dairy’s with one in Beaver City, Nebraska and the others in Kansas including Scott City, Bird City and the processing plant/dairy in Rexford, where it processes all the milk from the 4 farms yielding about 650,000 pounds of raw milk a day. 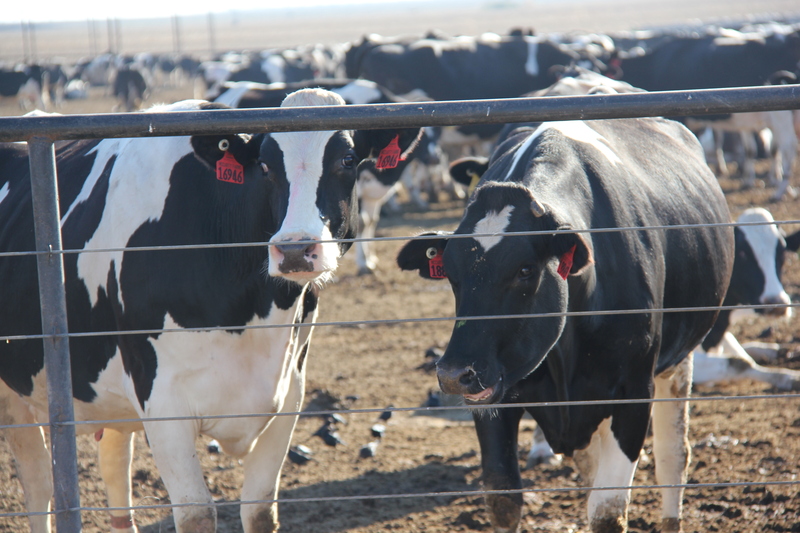 The farthest the milk travels to be processed is 80 miles which is milk from their Nebraska plant. There are about 140 employees between all the of the plants and business office which is located in Colby. All the raw condensed skim milk goes to the Dannon plant in Dallas along with a portion of the heavy cream. The remaining cream is sent to the Daisy brand processing plant in Garland, Texas where it is made into sour cream. If you check the bottom of your Dannon yogurt cup and it has plant number 48 stamped on it, most likely it is made from the McCarty’s milk which goes from the dairy to Dannon in 24 to 36 hours. I love eating local and knowing that a national brand I buy is using local milk from my home state makes me want to buy it even more! All four dairies are certified by Validus, a major animal welfare firm that has very stringent guidelines on the care of dairy animals. They have also passed bio security audits, food safety audits and enviromental audits. I was a bit concerned about going to a farm that produces milk for a major company thinking that the cows would be laying on top of one another covered with muck, but just as the case with the other farms on this tour this was totally not the true. Spreading the cows over 4 dairies gives them the freedom to roam and the McCarty’s the space and resources to care properly for the cows. The baby calves are kept in separate pens to avoid being trampled, hurt or killed by any of the larger cows in the heard. 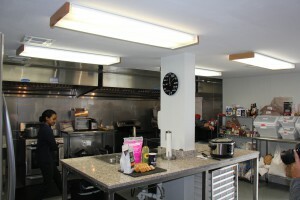 Their spaces are kept clean and tidy with plenty of food and water. 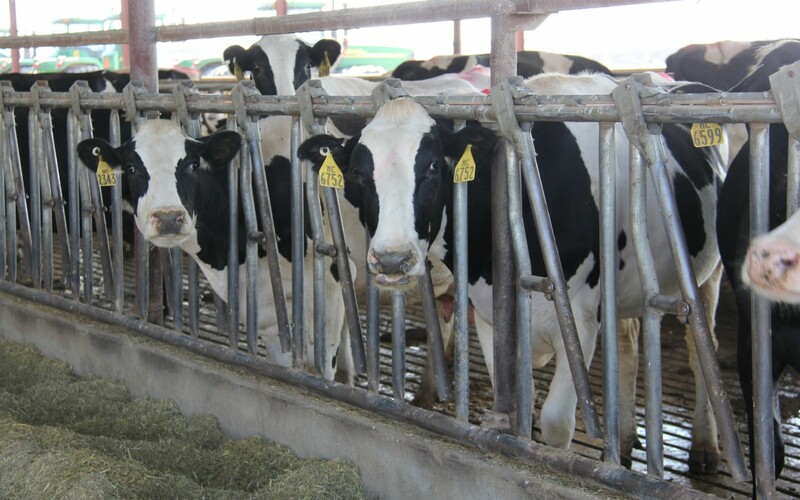 The larger cows are free to roam around in various pens around the dairy until they are taken to be milked. The cows are milked three times a day. 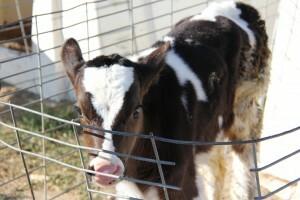 Once milked which only takes 11 minutes, are then out free to roam again. 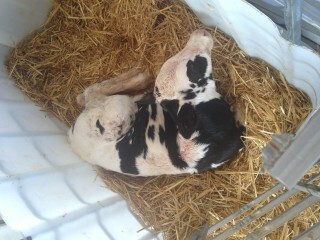 Clean, comfortable and happy cows produce more milk and the McCarty’s work hard to ensure the cows meet that criteria. The cows are checked daily, the holding beds are cleaned three or more times a day, the cows are given plenty of space to freely move around and are fed a nutrient rich diet. The cows are NOT given RBST and only an antibiotic if it is medically necessary. If a cow then happens to need one her milk is not used until the medicine is out of her system. 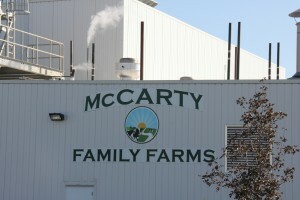 Finding out the McCarty Family Farms is considered a “factory farm” totally changed my perspective on things. I am sure there are exceptions to the rule but I certainly will not have nightmare visions anymore when I here the term factory farm. I have so much more respect for the farmers as they go above and beyond to ensure the cows are well taken care of and the procedures they go through to make sure the milk is the highest quality as possible. Be sure to check out the videos on the McCarty Family Farms website where you can watch how the cows are milked and learn more about the farm. 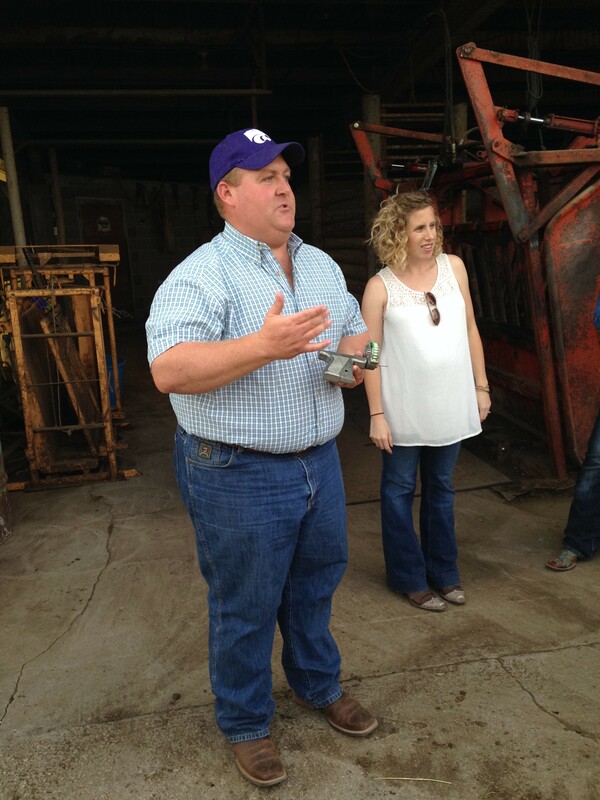 I recently had the chance to attend a three day farm tour across Kansas which you can read about here. On the second day of the tour we met Earl Roemer a fourth generation farmer in Scott City, KS. 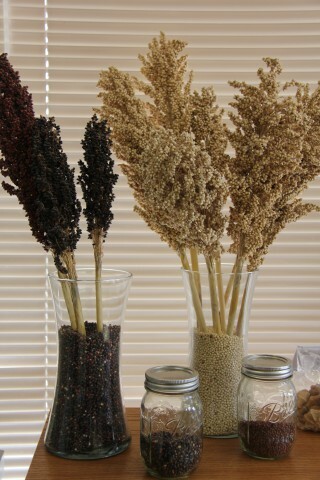 Earl runs Nu Life Market and grows non GMO sorghum or sometimes called milo which is a gluten free ancient grain. The grain is used to make gluten free flour and other gluten free products some of which are used in some big name products. Did you know that you can pop the sorghum grain like popcorn? 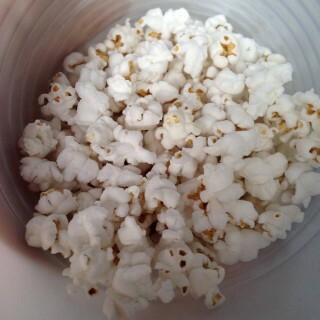 The popped grain is a bit smaller than regular popcorn and has slightly sweet almost kettle corn flavor. One of Nu Life biggest products is popped sorghum that is only produced for commercial use and is bought by some big brands for use in some of their gluten free products. Nu Life Market also produces Sun Life sunflower kernel spread which is a great alternative for peanut butter for those who suffer with peanut allergies. I am not allergic to peanuts and eat peanut butter all the time, but I am also a big fan of the sunflower butter, I buy it all the time! 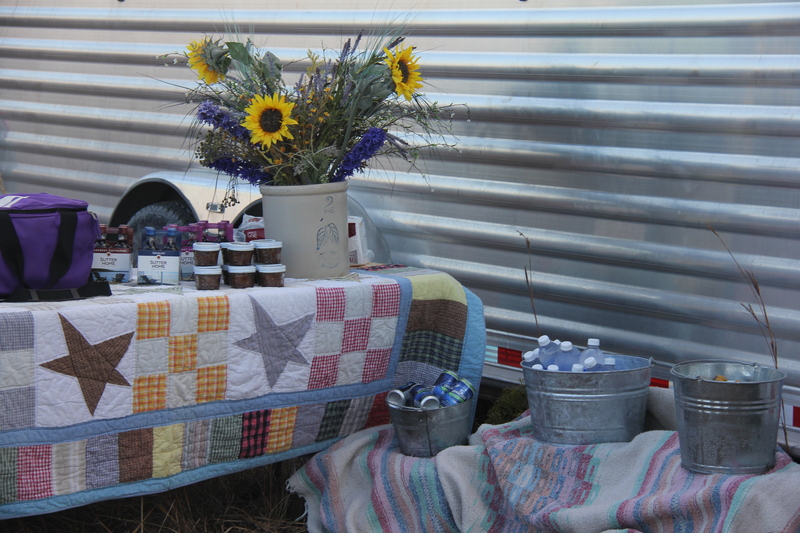 If you like sunflower seeds I promise you will love this spread. It is perfect for dipping apples in and makes a great snack! The sorghum crop does well in dry climates and the region of Kanas where the sorghum is grown actually has very little rainfall making Kansas the largest producer of grain sorghum in the United States producing about 200 million bushels per year. Nu Life Market is in control of the sorghum from the time the seed goes into the ground until it hits the consumers mouth. This along with traceable technology and the FDA designed processing facility helps ensure the safety and allows the consumer especially those with celiac issues confirm that there has been no cross contamination of the grain. 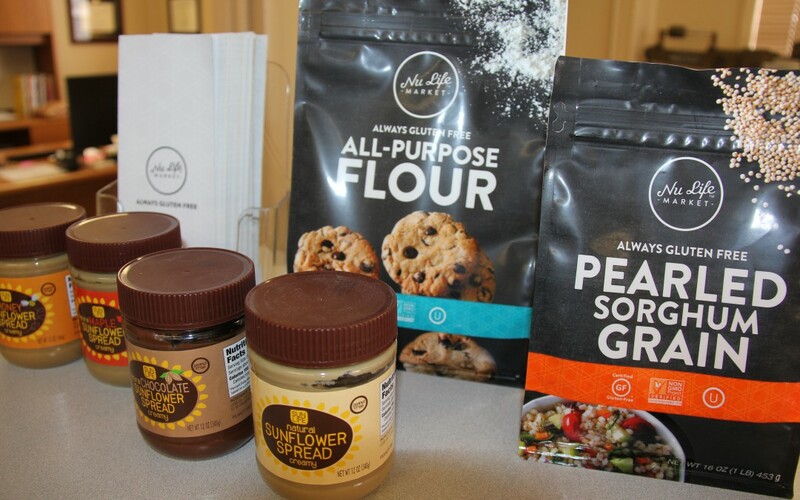 Having the certification that there has been no cross contaminations gives Nu Life Market an incredible reputation for having the highest quality non allergenic gluten free flour on the market and has been accepted into Costco stores for consumer purchase. I had no idea how diverse Sorghum was as it is not only used as a cooking grain or flour but China uses it to make a popular liquor in their county called Baijui. Red Sorghum contains tannins and antioxidants similar to red wine and is the only grain that contains levels of tannins like this. Black sorghum contains antioxidants in fact it is eight times the amount of blueberries so lots of medical research going on right now on how to use sorghum for medical use. One study is looking at how it may help with pre cursor colon cancer cell and another is how it can help ischemic heart disease. Nu Life Market is the only company in the world that produces volumes of these colored grains for sale for functional foods, beverages and nutraceuticals. The Nu Life Market staff includes cereal scientist Etsehiwot Gebreselassie who they call C.A. She continually works in the commercial kitchen testing products and recipes. 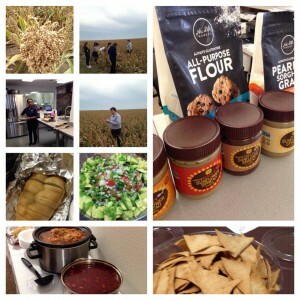 Her along with the other girls at the office made us a traditional American lunch and traditional Mexican meal to show the diversity of the grain. The American meal included a baked steak with homemade cream of mushroom soup with pearled grained sorghum, green beans with bacon, gluten free garlic loaf and a gluten free brownie. The Mexican dish included a chicken pozole and a pork pozole. Pozole is a traditional Mexican soup with red chille peppers and hominy. In place of hominy they used the pearled sorghum. The Pozole is served with cabbage and lime and was amazing! 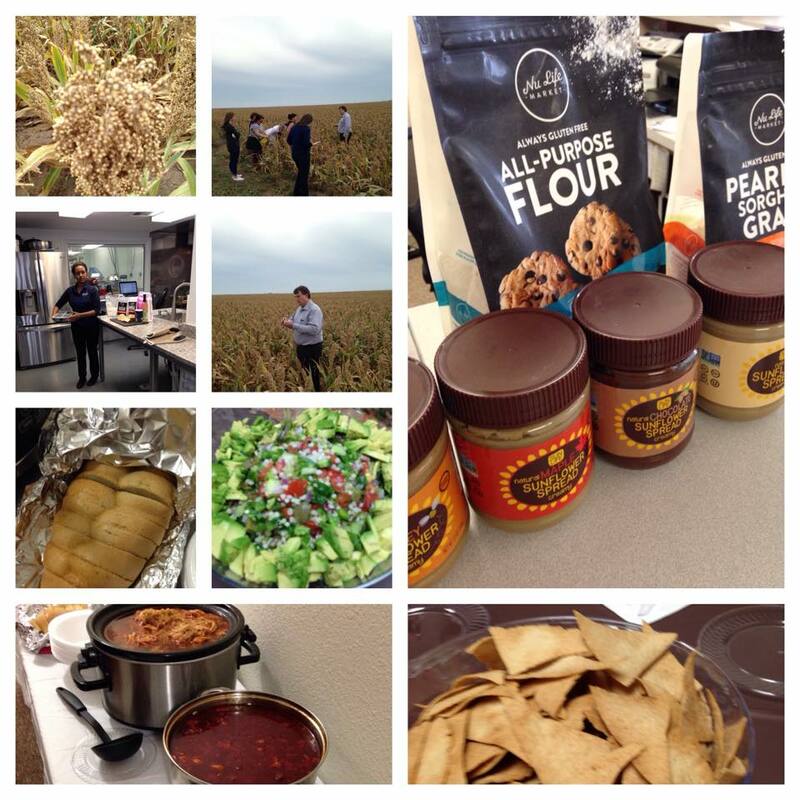 Other dishes were home made gluten free chips, salsa, homemade pico de gallo with fresh avocado and pearled sorghum. I cannot say enough about how delicious everything was and the amazing hospitality Earl and the staff showed us a Nu Life Market. Along with producing products for major companies to use in their gluten free products, Celebreity Chef Marc Forgione uses Nu Life pearled sorghum in his restaurant in New York City. I cannot say enough about how delicious the lunch was, how amazing the tour was and the gracious hospitality Nu Life Market showed us. 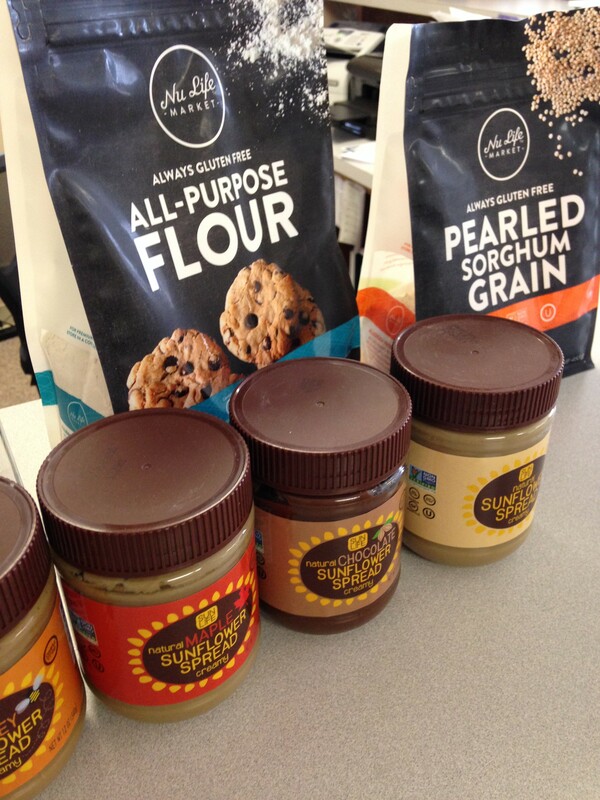 Nu Life Market’s retail products including gluten free flour, pearled sorghums and baking mixes are available on-line on the Nu Life Market website and some retail locations. 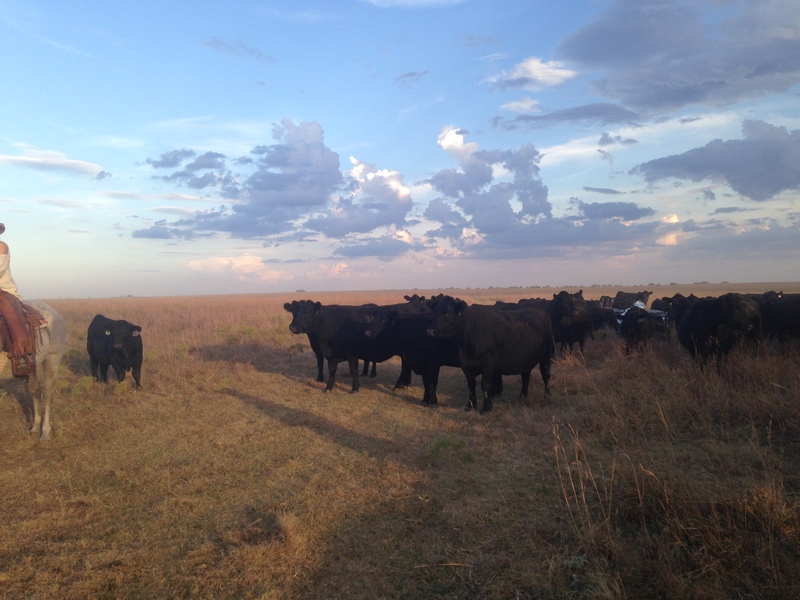 McPherson, Kansas is home to Sawyer Land and Cattle where Derek and Katie Sawyer grow soybeans and are raising cattle for steakhouse quality beef. I visited this farm while attending a three day farm tour across Kansas which you can read about here. The Sawyer family has been farming for 80 years and have benefitted from the technology advances of farming. 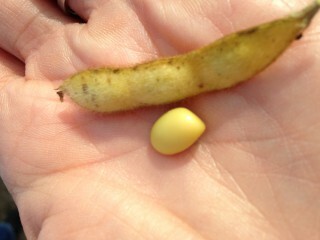 They buy their soybeans from Pioneer which is a GMO seed. They compare Monsanto is to farmers as Apple is to consumers, meaning we don’t have to buy an iPhone or they do not have to buy a GMO seed but with all the all the work they have done to put the technology in place to make their crops better, it is hard not to take advantage of that. 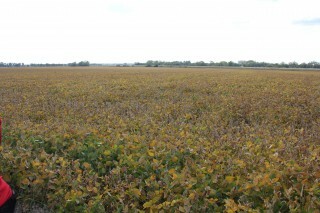 Their soybeans are grown for mostly for feed which they sell on a global market. Being a GMO seed makes them a bit more pest resistant which means they are not treated with pesticides very often. Derek explained that if a pesticide is used there is a waiting period after the pesticide is applied before the plat can be harvested which helps ease my conscious a bit. Those of us on the tour who are against pesticides and GMO grilled him on some issues concerning GMO, pollution and other environmental factors and asked how he felt about in terms of it affecting his own young family with another on the way and if was he concerned about risks. His response was “Obviously it hard to predict the future, but from what we knows now this is the best way we can produce food for the general public.” He did note that before having children he did not think so much about the food as it was feeding the masses, but now that he is feeding it to his own son does take more things into consideration. He notes that it is always going to be a challenge to prove anything is 100% safe but with what he knows now and the practices he uses, he would have no concerns that it is anyway unsafe to feed his family and does. Just down the street is Derek and Katie’s cowherd where they raise beef for high end restaurants and steakhouses where you pay $40 to $50 for one steak. We had the chance to meet their new heard he just received the day before we visited. The cows were a little fussy as they were just separated and wanted their Momma’s. This weaning process makes the calfs fussy for about 3 days and then all is good. It is also the best way for both momma and calf, as the momma would continue to nurse draining her of all her nutrients and the calf needs to learn to eat the grain to grow properly. Although, the Sawyers grow soybeans for feed, they do not typically feed their soybeans to the cattle as they don’t possess the ability to grind the beans. 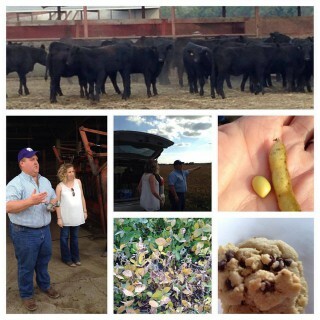 The cattle are fed some type of mixture of corn, grasses, hay/alfalfa and distillers (an ethanol by-product). 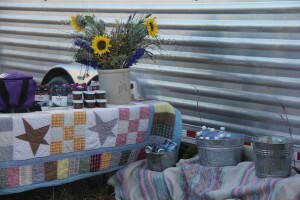 All of this except for the distillers is grown on their farm and remains on their farm from the field to the feed bunk. The exact feed mix is determined by the gender, age and nutritional needs of the animal. Derek runs about 600 calfs a year and once the cows are around 600 pounds they are custom grazed throughout the spring and summer in small towns around Emporia, Kansas where they will beef up (no pun intended) to about 800 – 850 pounds. The cows are then taken to Ellinwood, Kansas to a feed lot for a 120 days where they will end up around 1300 pounds. 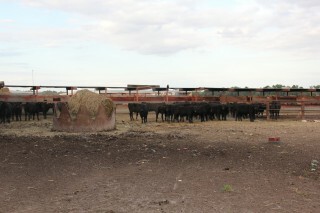 The cows are then taken too Garden City or Dodge City for harvesting. The calfs at Sawyer farms get a hormone implant in their ear that releases a small amount of estrogen that helps convert the feed to muscle. The controversy on the hormone use is it gets into the meat. Derek explained that a serving of a steak with estrogen will have about four nanograms of estrogen while the beef without only contains two. That seems pretty low for both as he mentioned cabbage has 15,000 nanograms! The hormone also helps the animal grow faster resulting in a more tender cut of beef. As I mentioned earlier about the waiting period after pesticide has been applied to a crop, the same applies if an animal has been given antibiotics. The Sawyers take their responsibility very seriously about raising the best beef as possible and will never give a cow an antibiotic just for the heck of it but if a cow gets sick, it is their job to take the best care they can of that animal. If that means it needs an antibiotic on occasion to help the cow heal instead of just letting illness make it sicker and sicker they will do that. Kaite explained that taking care of the animal quickly also ensures the health of the others in the heard because just like kids can spread things at school the same can happen to a heard. Records and documents are also kept on which cow received what and when so there is never a question on anything. Just as it was at Good Farm (another stop on the tour), the Sawyer farm was clean and the cows had plenty of room to roam. I cannot say enough about the care the Sawyers give to the animals as they monitor them multiple times a day and during calving season it is a 24/7 operation so if a cow of calf needs assistance they are there to help. If needed, Katie even lets distressed calfs into their house and where she can warm them up with extra blankets and a hair blow dryer. 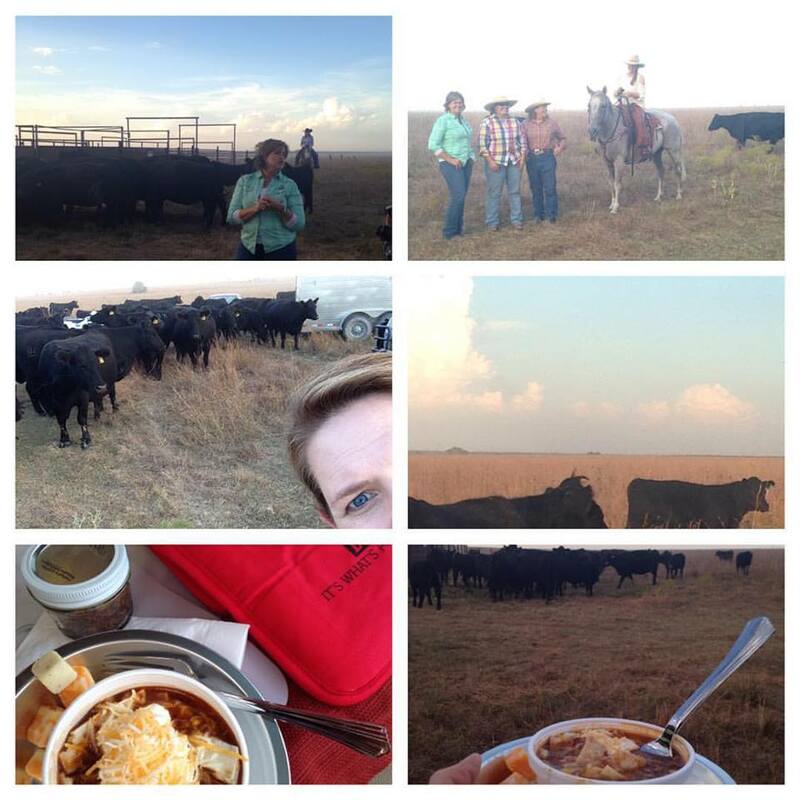 If you happen to catch any of my #farmfoodtour pics on Instagram a few weeks ago, then you are aware of the great time I had when I was invited by the Kansas Farm Bureau to spend three days traveling across Kansas visiting local farms. All of these farms are impacting our nation as they supply their goods all across the country and beyond. 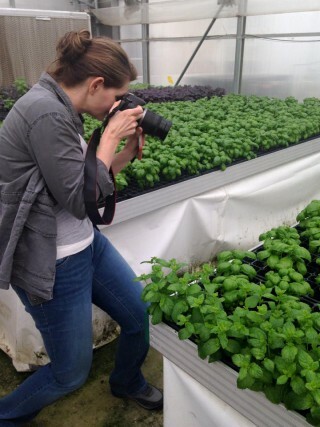 I also learned many lessons about how are food is raised and truly had an eye opening experience. I love writing about local food and love meeting the farmers behind the food so I was excited to have the opportunity to experience this. 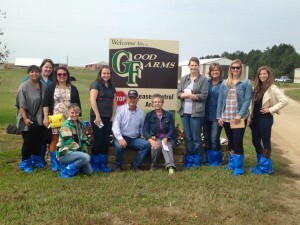 The trip consisted of a handful of writers and bloggers from the Midwest along with our hosts which was a representatives from Kansas Farm Bureau and The Kansas Soybean Association. 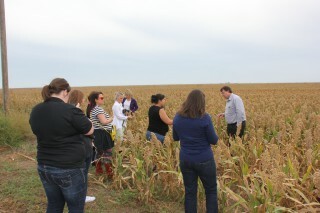 There was a lot of talk on the tour about the GMO controversy and although, I get the need for GMO for world hunger, the need for pesticide and virus resistant crops, etc…, I am anti GMO in the foods I eat, against factory farming and am adamant that our food should be labeled if it contains GMO. So before the tour I have to admit I am the one who only listened to one side of the story and spent too much on organic produce. There is still much debate on this subject but after this tour I am a bit more relaxed about things. 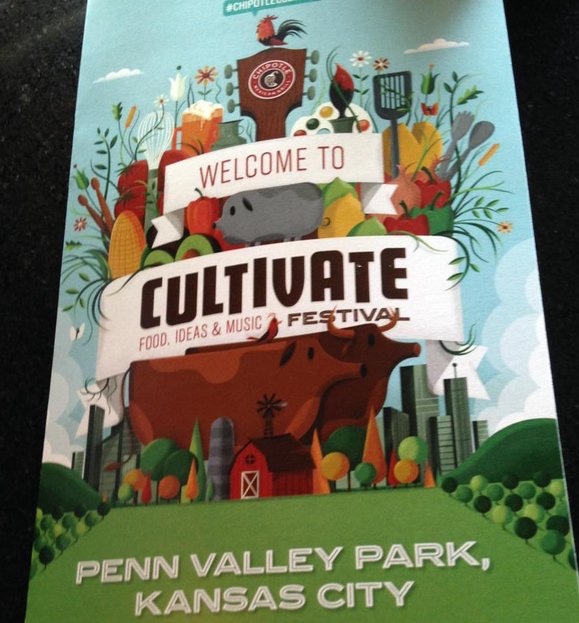 I learned there are only eight GMO crops; corn, soybeans, cotton, papaya, canola, sugar beets, squash and alfalfa. I also learned there is rigorous testing done to ensure safety. In addition to what I learned on the tour, I have been scouring sources to make the right decision for what I want to feed my family. Each side has a great argument and I am not an expert by any means so it really has to come down to a personal choice. With a daughter recently diagnosed with some allergy and other health concerns, I am probably still going to stick with buying organic and non GMO foods but won’t freak out as bad if we get a GMO in our diet every now and then. There is research that states GMO’s don’t cause allergies there is other research that says certain allergies did not exist until GMO’s where introduced. While we are on the topic of allergies there is now talk of making a GMO peanuts that would remove the allergen. There is also talk of a GMO wheat grain that would remove the gluten. For people who suffer from gluten issues or have peanut allergies does that make GMO a good thing? My daughter is having some gluten issues so as a mom is that something I would try to help my daughter although I have been anti GMO, I don’t know. I would certainly have to do my homework. Again so much controversy that you have to choose what is right for you. 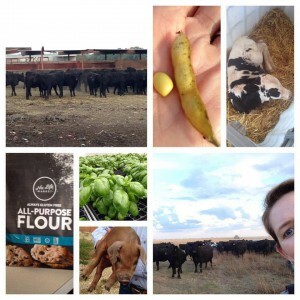 If gluten is an issue for you, do not miss reading about day two of the tour where we visited NuLife Market in Scott City, KS. 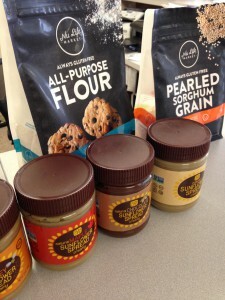 They have amazing gluten free flour as well as other products. The labeling issue was another hot topic. 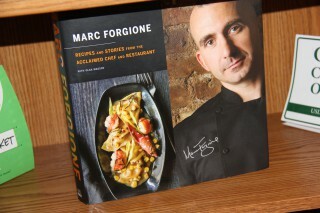 I think it is super important for people to know what is in their food but we also need to educate ourselves as well. If you are trying to avoid GMO’s, know what crops are modified so you don’t have to fear if that cucumber is a GMO or not, because it is not one of the eight. Before the tour I was adamant that GMO foods need to be labeled. After the tour I learned how much labeling laws would increase food cost and no one wants that. I decided that if the labeling is not going to happen then I need to educate myself on what crops are modified, and buy organic when I am not sure. There is already organic and non GMO labeling available that can probably help make the decision I need, so I don’t know that I am such a stickler on that topic anymore. Other hot topics included antibiotic use, organic produce and crops as well as grass fed beef. What about grass fed beef? Well, all beef is grass fed because they graze in the pastures. How it is finished is the difference. This is not too much of a hot button for me as my father in law raised cattle and gave them grain and that is all we ate. He recently quit raising the cattle so now I buy organic beef, but do not necessarily focus on grass finished or not. Grass finished has more omega 3 than grain finished but not enough to make a difference in your diet, so if you are looking for more Omega 3 eat some salmon or take a supplement. What about antibiotics? All of the farms we visited do not give their animals antibiotics just for the heck of it and Good Farm that raises pork does not use any at all. The farmers that do use them explained that they are only used if medically necessary. Just as we get sick and occasionally need one, so do the animals. I also learned that there is a stringent documentation process on what animal got, how much and when it was. There is also a waiting period before the animal can be processed after an antibiotic is administered to make sure it is out of its system. What about organic? Before the tour I envisioned non organic produce being doused with chemicals and then picked and put on the grocery store shelves. After the tour I am a little less concerned. Farmers have guidelines they have to adhere too on many levels and pesticide use is one of them. There is a certain waiting period they have to follow before they can harvest the crop after a pesticide has been applied. Does this make the fruit any safer to eat? I don’t know but it makes me feel a little better knowing there has been time for rain-showers and other environmental elements to shake off some the residue. I appreciate that Cal-Ann Basil Farm we visited on day one does not use any synthetic pesticides since that is the brand I buy. I was happy to learn about the waiting period process on harvesting after pesticide use but will still buy organic especially the produce listed on the dirty dozen list because that is what works for me. I will say that knowing what I do now will help me not be so concerned if I see my son eating a non organic apple or knowing my daughter is not getting organic produce in the dining hall while she is away at college. The last issue we will tackle is Factory Farming. When I hear the term factory farm I envision hoards of pigs or cattle crammed into a tiny pin covered with gunk and who knows what else. The McCarty Family Farms we visited that produces milk for Dannon Yogurt is considered a factory farm and it was a total 360 from what I had in mind. 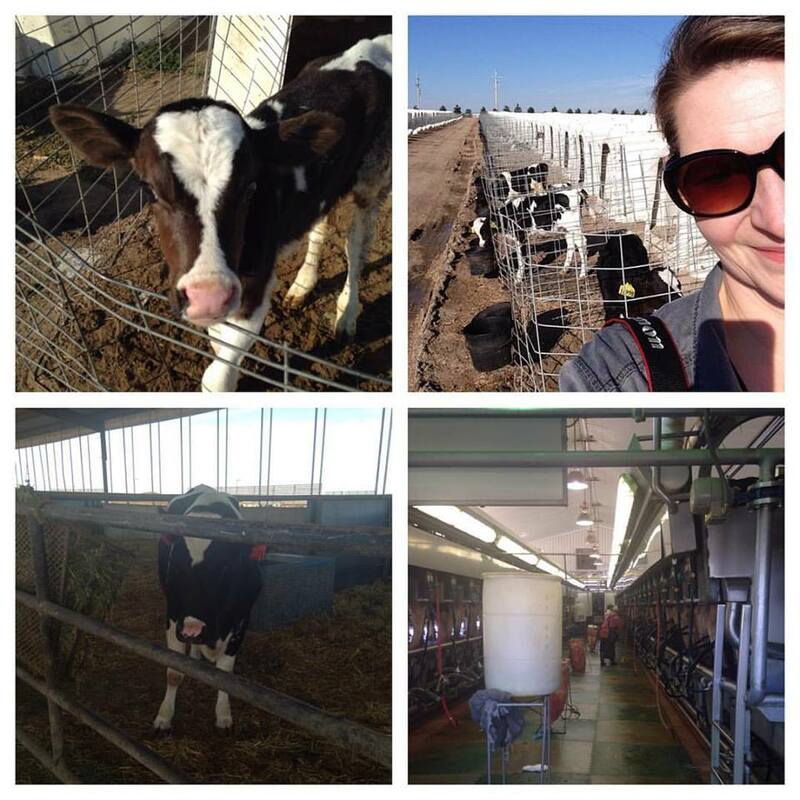 You can read more about the McCarty Dairy on day three of the tour. I cannot say enough about everything I learned and how compassionate these farmers are to make sure the crops they are growing and the animals they are raising meet the highest quality standards. It is truly is all about family and they care for their families as much as we do ours and are feeding them just like us so they want to produce the best food possible in the best way they know how. I wish to thank the Kansas Farm Bureau and all the incredible farmers for this amazing experience. You can read more about the farms in the links below. Day one: Cal-Ann Farms, Good Pork Farm, Sawyer Land and Cattle.